There is a huge difference between paying a foreign worker RM3,000 and paying a Malaysian worker RM3,000. THE Malaysian economy has been growing on cheap foreign labour for export and domestically debt-fuelled consumption. The model is stressed and in dire need of change. To keep Malaysian capitalism afloat, we need to pay low and middle-class workers better. The conventional wisdom has it that employers in this country want as many unskilled foreign workers as possible and do not wish to see significant wage increase in their domestic workforce. But I can tell you, probably with the exception of those in the export sector, many thinking business owners secretly hope other bosses pay their Malaysian workers better. Take, for instance, developers who want Malaysians to be paid much better so that homebuyers have sufficient income to prove to the banks that they can afford to buy a house and pay the monthly instalments. The same developers may hire semi-skilled Indonesian workers to build houses and pay them RM2,000 or even RM3,000 per month, which is what some experienced foreign construction workers are earning. Yet, there is a huge difference between paying a foreign worker RM3,000 and paying a Malaysian worker RM3,000. Wages paid to a foreign worker will be spent at grocery shops, and on vices such as drinking, gambling and prostitution. The rest will be remitted to their home countries. Remittance growth by migrants in Malaysia has been dramatic since 2006, with an increase in outflows of more than 500 per cent in the past decade or so, at around RM34 billion in 2015, 2016 and 2017, according to Bank Negara Malaysia. 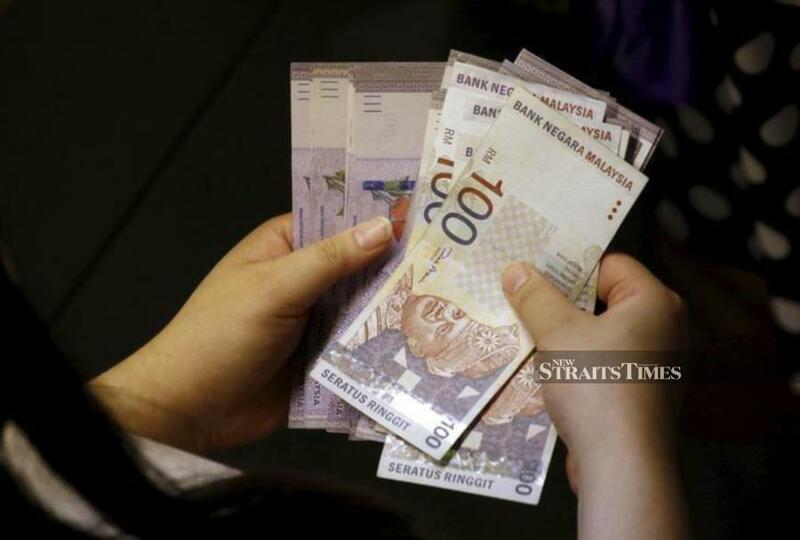 If the outflows can be significantly curbed, it may contribute to strengthening the ringgit, thus reducing the cause for Malaysians to work in Singapore and other countries, and potentially making imports more affordable. Wages earned by low- and middle-income Malaysians are very likely to be spent in the economy, generating much more multiplier effects. Paying Malaysians more also means that they have leverage to borrow from the banks to buy assets, which means the RM3,000 salary can be stretched even further. The current overhang in the housing market is in part due to overbuilding and high selling price but also because of the low income of most Malaysians. Retailers also hope fellow bosses pay their workers much better. A decade after the Global Financial Crisis with the middle class in the United States and Europe shrinking, the Malaysian economy has been dependent heavily on debt-fuelled domestic consumption. Household debt to gross domestic product ratio was once nearly 90 per cent and now hovers just below 85 per cent. That doesn’t include hire purchase instalments for consumer goods, cooperative loans and other loans not detected by Bank Negara. In most other countries, loans are taken to own assets — we have come to a stage that for many, most consumer items are procured through borrowing. China lifted the wage level in 2010 almost artificially, but this is not what I am advocating for Malaysia. China lost more than 20 million jobs during the Global Financial Crisis and it was evident to it that there was no way to export as much goods to the United States and Europe. At the same time, China was soon becoming an ageing society which could no longer rely on the population dividend. China works with enterprises like Foxconn to raise wages and increase efficiency. Japanese and other foreign firms in coastal Chinese cities were forced to do the same subsequently. Foxconn raised wages to the tune of 120 per cent from an average of 900 renminbi to 2,000 renminbi (RM547 to RM1,200) within a short span of time. Today, graduate pay in Second-Tier cities like Xiamen is above 6,000 renminbi, a more than fivefold increase compared with 20 years ago, while the Malaysian graduate salary level stagnated in the same period. Through this intervention, China created a middle class and Chinese industrial investors are now coming to invest in Malaysia due to cheaper labour cost. We are now competing with Indonesia and Vietnam when we should be competing with South Korea and Taiwan. And in terms of living standard and wage level, First-Tier cities in China, such as Beijing, Shanghai, Guangzhou and Shenzhen have surpassed South Korea and Taiwan. Malaysia’s huge pool of unskilled foreign labour serves as a buffer. What needs to happen is for jobs which require three or five unskilled men to be refashioned to a job that pays a wage of between RM3,000 and RM6,000 through automation — such an act in itself is a massive productivity and efficiency gain. For example, as the deputy defence minister, I am very concerned about the livelihood of young retired military veterans in their 40s, which the conventional welfare approach doesn’t cover effectively. For those who serve more than 21 years in the armed forces, the lowest ranked veterans receive a monthly pension of around RM2,000. If he is offered a job that pays RM1,500, the veteran would just return to his kampung and do some odds job and leave the formal employment market altogether. But say, he is paid RM3,500 as a security officer (a job a veteran is more than qualified for), plus his pension, he is quite comfortable even living in an urban area. We are a strange nation which hires nearly 200,000 security guards, mostly from Nepal. Businesses often pay up to RM3,000 for ordinary guards and RM6,000 for armed guards to security companies which make very substantial “rents” and pay the foreign workers a small fraction of what they make. These guards usually don’t speak the local language and they are mostly for display purposes with no ability to make a police report as they can’t even describe the crime scene. Bank Negara Malaysia used to outsource security matters to firms and hire 600 personnel. Now only 300-odd Malaysians are hired through the auxiliary police, with each paid around RM3,000 with extensive investment in CCTV, gadgets and other technology. There are many such areas which can be restructured to take away unskilled labour, automate and pay Malaysians a wage of between RM3,000 and RM6,000. And, of course, there are so many more new growth sectors. A job-led growth model will help Malaysia transform its economy and create a virtuous cycle of higher wage, higher productivity and higher technology use. Ultimately, progress means our economy no longer values body count but skills and knowledge.